Patrick Strobel joins Liquidnet as its Head of Technology in EMEA. With nearly five months to go until the implementation of MiFID II, Liquidnet has made a new strategic hire to address the deployment of its Virtual High Tough solutions. This push will see the hire of Patrick Strobel as Head of Technology for Europe, Middle East, and Africa (EMEA) region. Many venues have been eyeing the January 3 2018 passage of MiFID II, emphasizing a wave of compliance measures and internal risk management solutions. For Liquidnet, this will entail the ongoing expansion of its Virtual High Touch MiFID II solutions in EMEA, an institutional algorithmic and analytics engine. 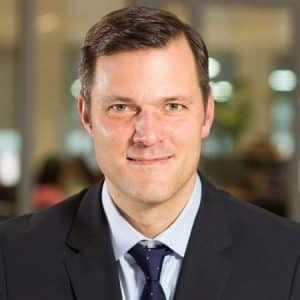 The man tasked to pursue this aim is technology specialist Patrick Strobel, who joins the institutional trading and equities network after a lengthy career spanning sixteen years in the banking and IT space. In the newly formed role of Head of Technology – EMEA, Mr. Strobel will focus specifically on Liquidnet’s Virtual High Touch MiFID II solutions as well as its growth in the EMEA region. The hire follows on the heels of Liquidnet’s acquisition of analytics platform OTAS Technologies. With the group’s solutions now fully integrated into Virtual High Touch, Mr. Strobel will serve an instrumental role in helping deploy Virtual High Touch MiFID II in EMEA. Indeed, combined with the recently acquired analytics and market insight capabilities from OTAS, Liquidnet’s Virtual High Touch will aim to strengthen buy side trader’s decision-making processes. In his new role, Mr. Strobel will be the primary driving force behind this. He will be reporting to Bob Garrett, Head of Technology at Liquidnet, whilst based out of New York. Prior to joining Liquidnet, Mr. Strobel worked at Deutsche Bank in a number of senior roles including Head of P&L, IPV Technology, and Global Head of Equity Trading Analytics. During his tenure, he helped foster the development of Deutsche Bank’s equity trading analytics capability including TCA, pre-trade analytics, and alpha capture on a global level. “Liquidnet is a company that prioritises rolling out innovations that the buy side needs with speed and efficiency. With MiFID II fast approaching, it’s especially important that we deliver the right tools and technology to support the changing roles of our Members, both in and out of EMEA,” added Mr. Strobel.